A short Par 3 of 137m takes in some of the best views down the river once on the green. This well bunkered hole with out of bounds to the left requires respect as missing the green can make it very difficult to save par. 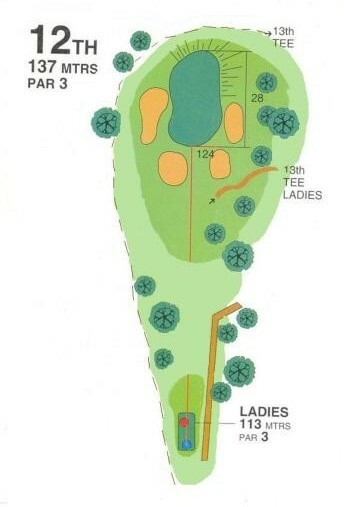 Aim for the centre of the green as this normally is the best play no matter where the pin is. Anything left our friendly Murray cod is waiting for your ball.